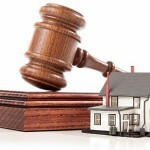 Home Divorce in New York What’s the Difference Between Contested and Uncontested Divorce? The State of New York recognizes two types of divorces. These are contested divorce and uncontested divorce. Regardless of what kind of divorce you may be going through, it is always a good idea to consult with a family law attorney. This will help ease your concerns and they can answer any questions you may have about the divorce process. A contested divorce is when you and your spouse do not agree with the divorce. This could mean that one of you does not want a divorce or you do not agree on the terms of the divorce. 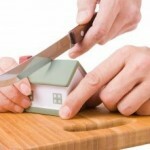 A contested divorce is usually drawn out much longer than a non-contested divorce. The court will usually encourage both parties to work together before heading to court and receiving a judgment. If both parties cannot come to an agreement, they will typically be sent to mediation where a neutral third party can help facilitate a common ground. If both parties still won’t work together to form an agreement, they will then head to court. Issues that can cause a disagreement between parties and delay a divorce can include child support, child custody, debt allocation, and even alimony. An uncontested divorce is a much smoother process than an uncontested divorce. This means that both parties agree with the divorce and agree with the terms of the divorce. While it may not be essential to hire an attorney for the divorce, it can be comforting to have someone guide you through it. An can help file the divorce and write up the divorce agreement for you. Should anything need to be discussed in the future, your lawyer will have everything on file to refer back to.